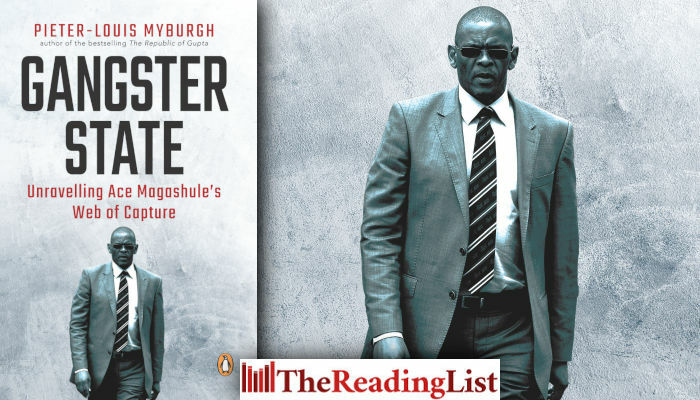 Penguin Random House has released a statement in response to the disruption of the launch of Pieter-Louis Myburgh’s new book Gangster State: Unravelling Ace Magashule’s Web of Capture in Johannesburg yesterday, as well as the ANCYL Free State’s calls to burn the book. Protesters at Exclusive Books Sandton City ripped up copies of the book and chanted ‘Ace, Ace, Ace’, referring to ANC Secretary-General Ace Magashule, who the book implicates in state capture and looting in the Free State government. In addition, the ANC Youth League in the Free State Province has said it has organised an event to burn copies of the book. Penguin Random House says it is ‘appalled’ by the events, and calls on ANC leadership to ensure there is no further violence. ‘We hope that Ace Magashule and his supporters get the message that no amount of intimidation will deter us,’ the statement reads. Penguin Random House, has confirmed that the book’s Cape Town launch tomorrow night (Thursday 11 April) at Exclusive Books V&A Waterfront has not been cancelled. Penguin Random House is appalled at the behaviour of those who disrupted the launch of Gangster State at Sandton City yesterday evening. We are equally concerned that members of the ANC Youth League have threatened to convene a mass book-burning in Bloemfontein. These scenes are more reminiscent of Nazi-era Germany than the free society envisaged in our hard-won Constitution. In a democratic South Africa, everybody is free to disagree with a book. But nobody should be free to destroy property and intimidate people. We welcome the ANC’s statement condemning those who undermine citizens’ freedom to speak, write and publish. We specifically call on the leadership of the ANC, under President Cyril Ramaphosa, to personally ensure that there will be no further disruptions or violence at Gangster State events in the coming days and weeks. We would like to thank all those engaging critically with the book, and we encourage all peace-loving citizens and members of the media to attend future Gangster State events to take the discussion further. The next book launch will be tomorrow, Thursday 11 April at 18:00 for 18:30 at Exclusive Books V&A Waterfront, Cape Town, and will be moderated by Adriaan Basson. We hope that Ace Magashule and his supporters get the message that no amount of intimidation will deter us. Whether it is threats to go to court, the disruption of book launches or the burning of books, we will not be silenced.